Hi all! 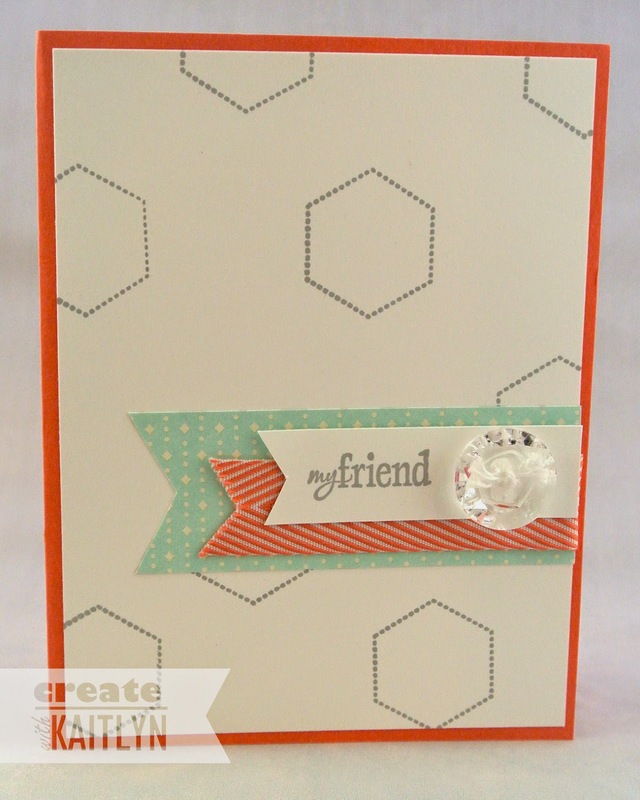 I have another card to share with you today that uses the Six Sided Sampler stamp set and Smoky Slate Ink Pad. This is my favorite card that I made when I challenged myself to use only one ink pad with this stamp set. 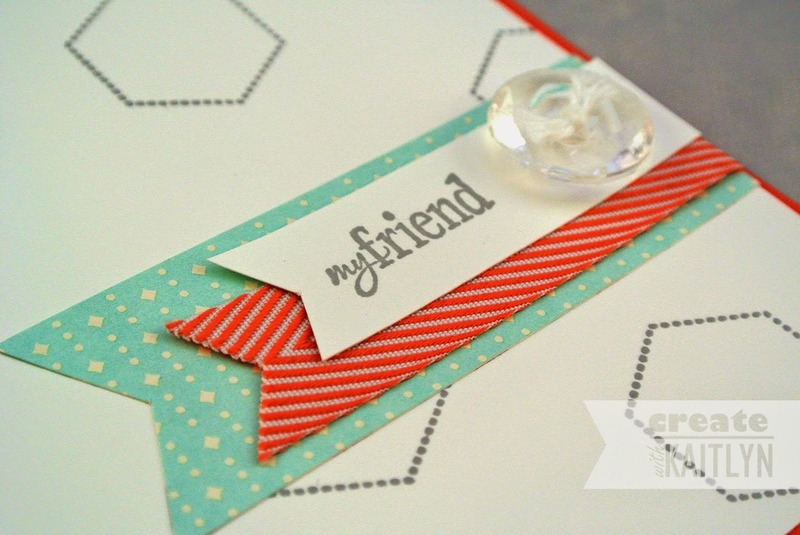 When using this stamp set, I tend to want to line up the hexagons in a nice neat pattern. So, I decided to mix things up on this card and stamp an all over pattern. I am really happy how it turned out! I think it makes the card more lively! A great thing about this stamp set is the included sentiments. Here I brought focus to "My Friend" by layering several different banners. The back banner is cut from the Retro Fresh Designer Series Paper (only available until the end of the month), and the next is a piece of Calypso Coral Chevron Ribbon. I then added a Vintage Faceted Button to give some sparkle. These buttons are awesome!